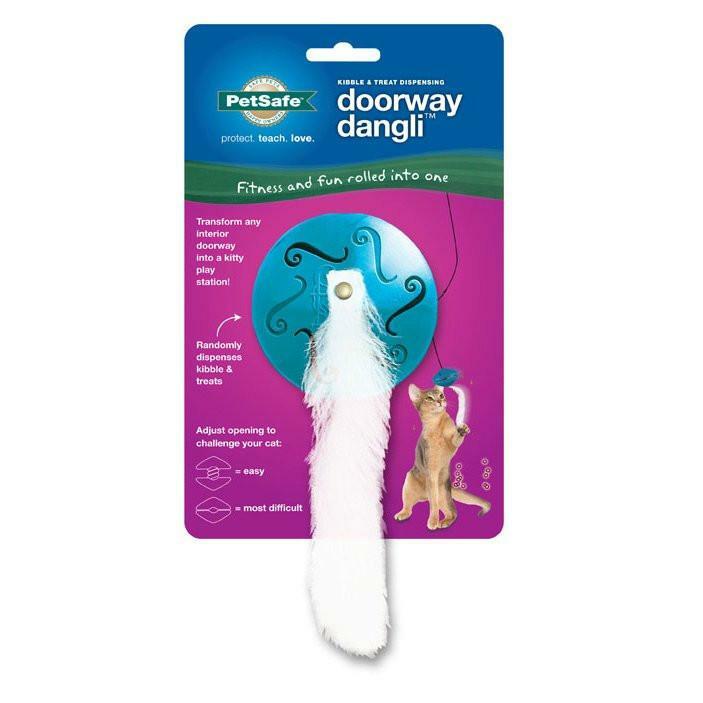 Give your kitty a novel playtime with the Doorway Dangli Cat Toy by PetSafe. 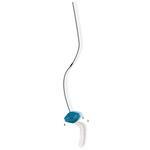 Hang the Doorway Dangli from any doorway to create an instant kitty play center. This treat-dispensing toy is designed to appeal to your cat’s playful nature by randomly releasing food. 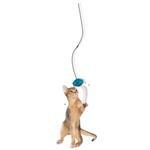 Your cat can grab, swipe, and bat at the toy and treats or kibble will pop out, making playtime last longer. The stretchy bungee cord adds bouncy excitement. The breakaway safety buckle keeps your cat safe from accidents. The Doorway Dangli is made of soft plastic that will not damage the wall or door frame as the toy swings back and forth. The Doorway Dangli twists apart to let you put small treats or dry food inside. You can adjust how easily the treats are dispensed. Start with an easy setting, allowing treats to come out quickly, so your cat associates the toy with a food reward. Once your cat has the hang of it, you can increase the level of difficulty by making the openings smaller. It will take your cat longer to get the reward, thus encouraging longer play time. This appeals to your cat's prey drive; your cat will feel like she's catching and eating her prey every time she plays. Posted On 04/13/17 by JOYCE G from San Mateo, AR Yes, JOYCE G recommends this product! My cat is being dull! Posted On 07/03/16 by Tina C from Mineral, VA Yes, Tina C recommends this product! This is a fun toy that hangs from anywhere safely. My cat was being a dullard when I put it up haha but my pups love it. I may replace the feathery material with a string and see if cat loves it anymore. I would shop here again!